The Dogs in Sweaters quilt has been finished and delivered. I love how it turned out and rumor has it, the baby boy is enjoying it. I quilted it using free form wavy lines which is my favorite quilting. 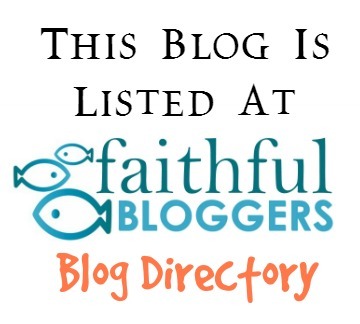 It's fast and easy! The texture is always amazing! 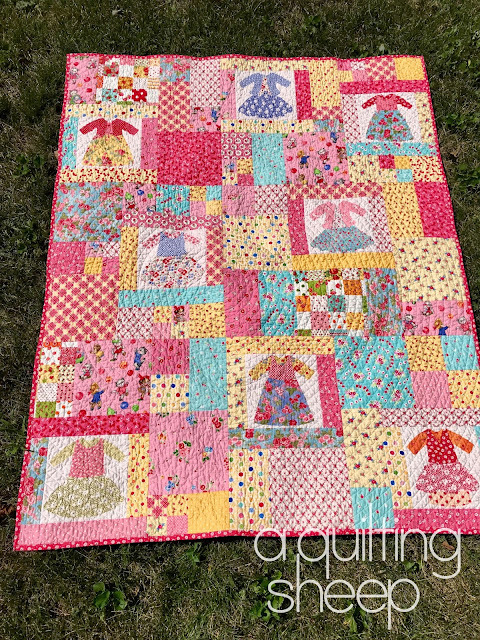 Dolly Dresses is also quilted and it will be delivered this later this month. For this one, I chose to do spiral quilting. I used a bar connected to my walking foot to keep the distance between the lines consistent. I usually just eye ball it. 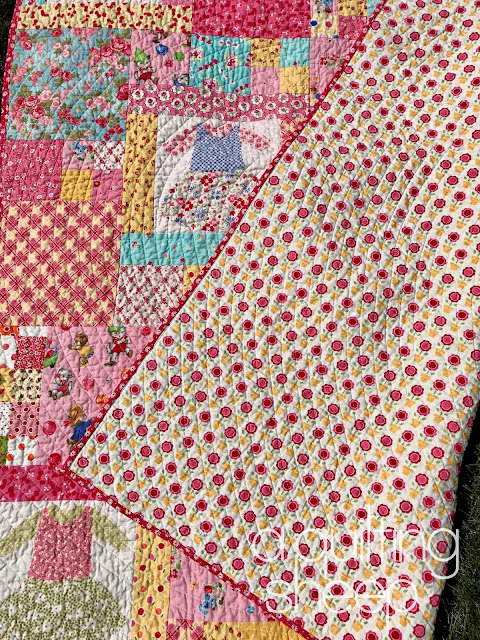 One of these days I will share the other two Pam Kitty Morning panel quilts I made using the Perfect Ten pattern. 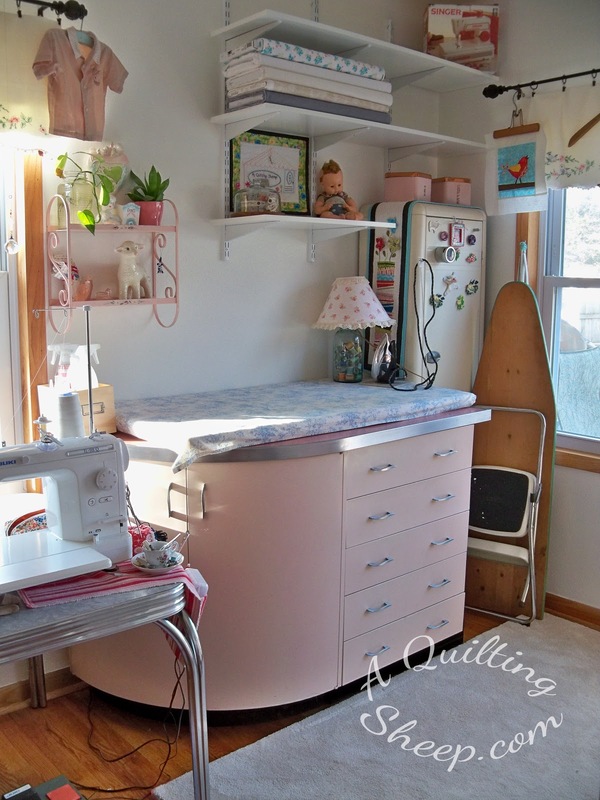 This month's Sew Sweet Bee queen bee is Gracey @ Burlap and Blossoms. This is her own design and you can purchase it in her Etsy shop. She has many cute patterns, so be sure to look around! 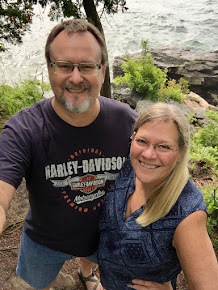 Those two quilts are ADORABLE ! 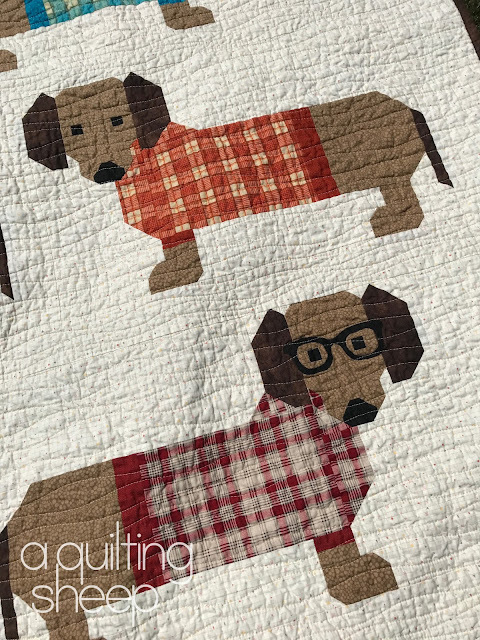 Just curious, what did you use on the back of the doggies' quilt? 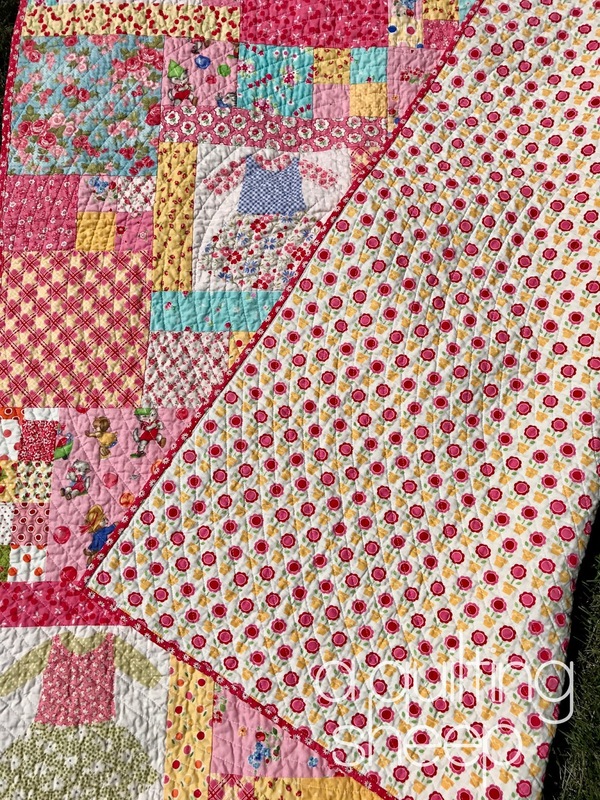 Your quilts are gorgeous, and you do a fabulous job quilting. Oh the cactus is cute! 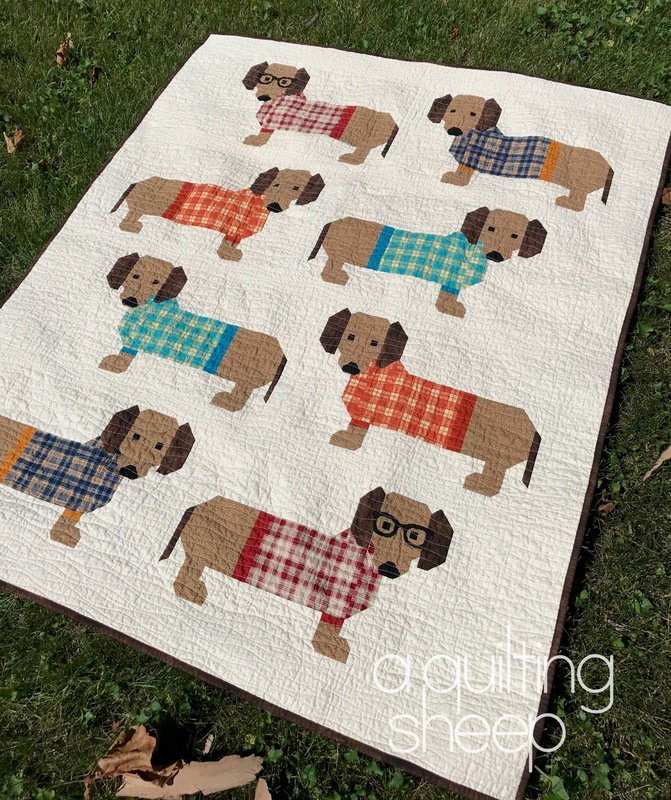 I just love that dog quilt! 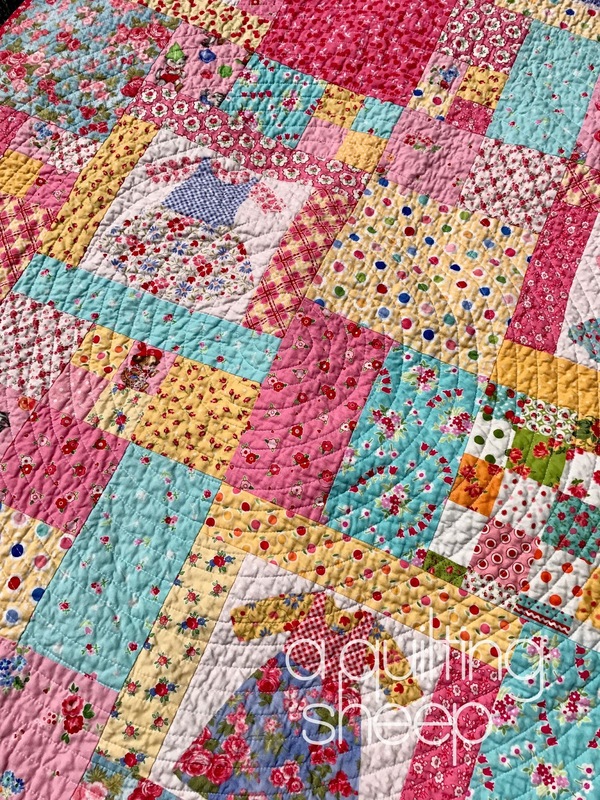 Such cute quilts. Love the quilting. Want to try the wavy one again, but still hesitating......:)! Love how yours turned out. Yes, Gracey has so many cute patterns. I've been collecting some :)! I thought I left a comment...Must have been lost in cyberspace. I love your quilts. Thank you for your link for the Perfect Ten pattern. I have two Dolly Dresses panels, two Naptime panels, and other fussy cut pieces packed to take with me to the hotel!! Love the cactus! Oh Gosh Amy, the doggies are so cute. I love them all. I have way too many projects. I need intervention, or I need a secretary, or just some staff. The dress quilt is sweet. 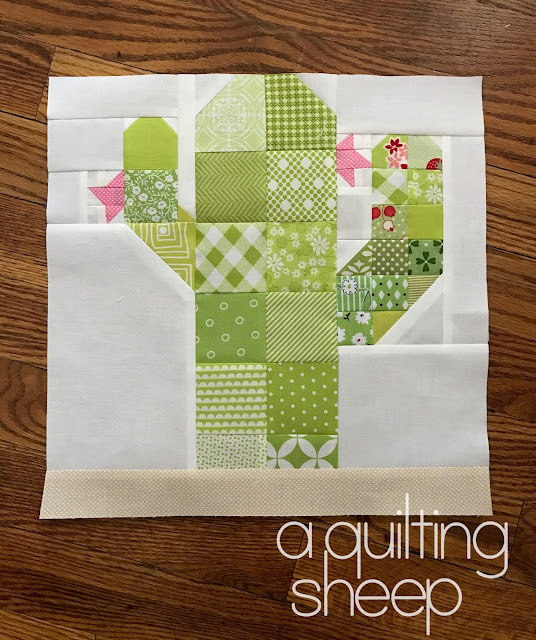 and the cactus is super adorable, Now I want to make that. Both quilts turned out great! I need to make my cactus soon!